The underground venue is lowly lit to expose the shades of blue paint on the walls as The Coathangers place three bouquets of flowers and a bottle of wine at the foot of the stage. Outfitted in gold sequined dresses with hoods draped over their heads and shoulder pads protruding outwards, the first note hits mere moments after 11 p.m.
Six hours prior to their set, I sat with the female trio in a closet-sized space that serves as the green room of La Santa in Santa Ana, California. Lead vocalist and guitarist Julia Kugel Montoya (Crook Kid Coathanger) sat on the edge of a plush chair with a small glass of red wine held in her hand discussing the band’s brief hiatus. The band, native to Atlanta, has established themselves as a prominent band in the modern punk scene through six studio records, and most recent record “The Devil You Know” released on Mar. 8. On their headlining tour to promote the record, drummer Stephanie Luke (Rusty Coathanger) has a vision for how the record should translate to the live performance. Opening with a cover of “Lithium” by Nirvana to honor the late Kurt Cobain on his 52nd birthday, there is an effortless yet energetic essence that spreads through the venue. 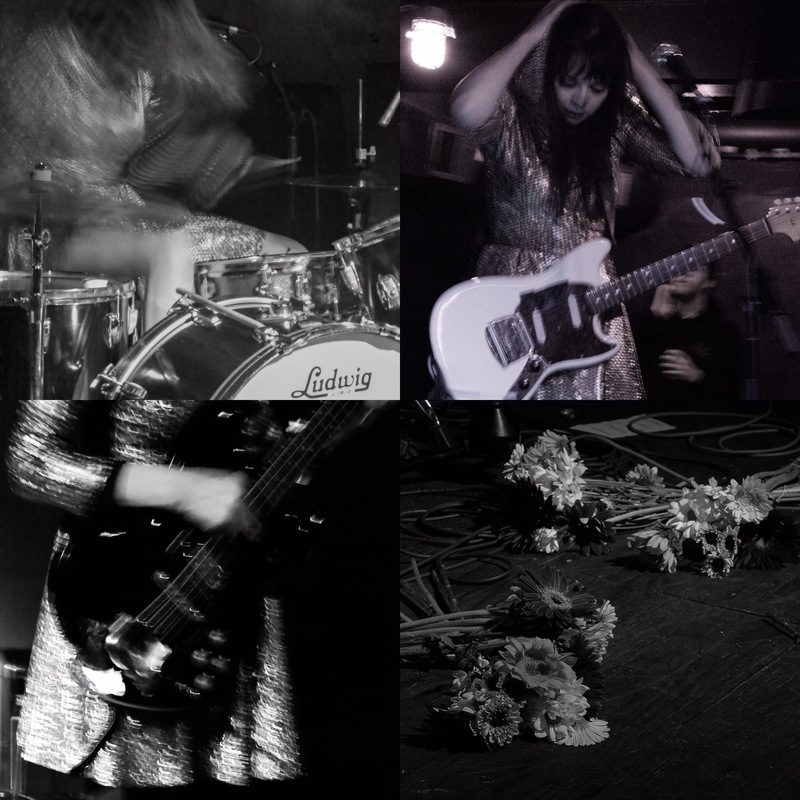 Integrating a more melodic grunge sound alongside their traditional punk songs demonstrates The Coathangers’ artistic experimentation that diversifies their sound within the punk community. A small mosh pit erupts in the middle of the venue as fans on the outskirt of the pit let their bodies move to the pop melodies within The Coathangers’ traditional punk songs. Bassist Meredith Franco (Minnie Coathanger) keeps her cool composure tapping her leopard boots to the beat as people moshing and dancing warm the venue. Behind her, Luke with an undeniable passion thrashes across the drum kit while Montoya leans into the microphone as they perform the songs that have defined them as a prominent band in the modern punk scene over the last 13 years.